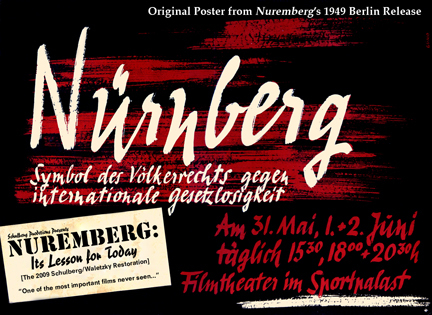 Poster for the Berlin run of Nuremberg, which was delayed until May 1949 because of the Soviet Blockade. The Nazi defendants, despite their horrific crimes and their role in fomenting the war that had just concluded, were granted the right to defend themselves in a public court. Three were even acquitted. Some were sentenced to prison, and others, such as Herman Göring, Hitler’s designated successor in the early years of the war, were sentenced to death. Sandra Schulberg, daughter of Nuremberg’s writer-director Stuart Schulberg, restored the 1948 film with collaborator Josh Waletzky. As an even greater tribute, Jackson had invited filmmakers into the courtroom—both to record the trial and to offer evidence against the Nazi defendants. 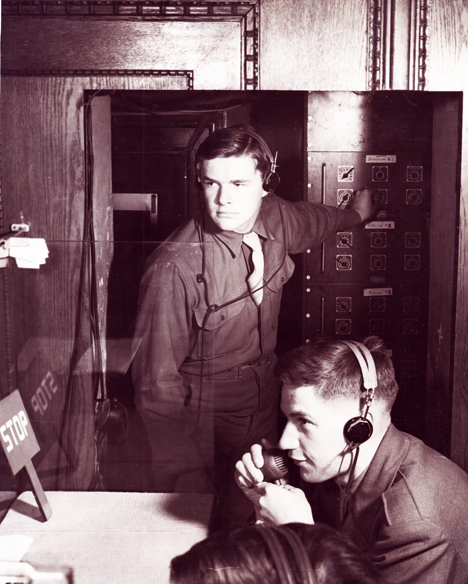 The filmmakers included two young veterans, Budd and Stuart Schulberg, who had served under John Ford in the Office of Strategic Service’s (OSS) Field Photography Unit. The Schulberg brothers presented two films at Nuremberg—The Nazi Plan, an explication of the role of Nazi aggression in precipitating World War II, and Nazi Concentration Camps, which provided some of the earliest filmed images of Dachau, Buchenwald, and other Holocaust sites. They also produced a documentary record of the trial, eventually titled Nuremberg: Its Lesson for Today (1948). By the time it was ready for release in the United States, however, the film had lost favor with the government. Some prominent military men were unhappy with the spectacle of military officers on trial. Engineers of the Marshall Plan worried that the film would undermine support for the rebuilding of Germany. The documentary was shelved and eventually forgotten. It seemed destined for the dustbin of history. Enter Sandra Schulberg. As the daughter of Stuart, who went on to a successful career in television news, and niece of Budd, who later won an Academy Award for his screenplay for On The Waterfront, Sandra had long heard stories about the making of the Nuremberg film—for instance, the arrest of famed Nazi filmmaker Leni Reifenstahl, or the harrowing discovery of one of the first known films of experimental gassing of human beings. Sandra also understood the film’s potential significance to scholars of the Holocaust and of international law. Audio technicians recorded the whole Nuremberg trial, from Nov. 20, 1945–Oct. 1, 1946; but only 25 hours were filmed. For the past several years, Schulberg has devoted her life to restoring a 35mm print of Nuremberg. It has not been an easy road. The original negative was lost, and later prints had degraded over time. She labored with sound designer Josh Waletzsky to create a new sound track aimed at an international audience, with the testimonies of historical figures like Göring audible in their original languages. She even recreated the original music track from handwritten scores she found in her father’s files. Patty de Llosa ’54, Taming Your Inner Tyrant: A Path to Healing Through Dialogues With Oneself, A Spiritual Evolution Press, 2011. This book is a testimony to how everyone can be helped by applying C.G. Jung’s “active imagination” exercises with compassion, persistence, and insight. The author’s experiences, as she dialogues with her intrusive inner critics, help her find healing from both physical and psychic pain. 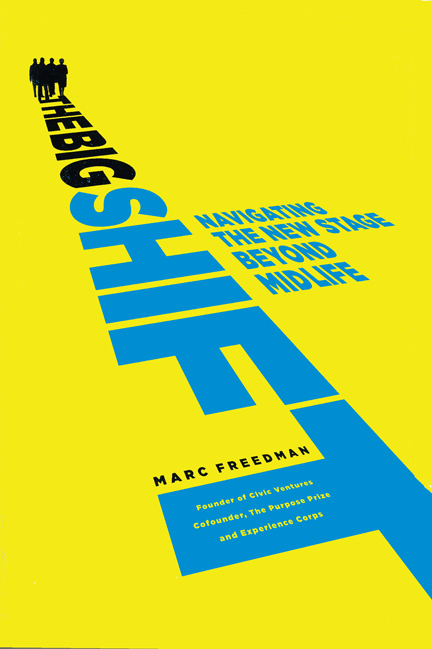 Marc Freedman ’80, The Big Shift: Navigating the New Stage Beyond Midlife, Public Affairs, 2011. Leading social entrepreneur Freedman reframes America’s looming midlife crisis as presenting new opportunities for personal growth, maintaining that the 50s, 60s, and 70s—the “encore years”—could well be fulfilling. Karen Rosenthal Hilsberg ’85 (editor), The Ten Oxherding Paintings: Zen Talks by Thích Phu’ó’c Tinh, (translated by Sister Dang Nghiem), Jasmine Roots Press, 2011. Using the Ten Oxherding Paintings of the Zen tradition to illustrate the spiritual journey inherent in the dharma teachings of Zen Master Thích Phu’ó’c Tinh, Hilsberg expresses the need to “recognize our own radiant awareness” in the present moment and to develop mindfulness, or our open engagement with each moment of life. Marc Elihu Hofstadter ’67, Healing the Split: The Collected Essays of Marc Elihu Hofstadter, Dog Ear Publishing, 2011. In this collection of essays and scholarly articles, Hofstadter reviews the poetry of William Carlos Williams and Yves Bonnefoy, commenting on art, music, science, and politics; exploring the divide between the sciences and the humanities; and explaining the symbiotic relationship between reason and feeling. Mara Hvistendahl ’02, Unnatural Selection: Choosing Boys Over Girls, and the Consequences of a World Full of Men, Public Affairs, 2011. Science correspondent Hvistendahl interviews mothers, doctors, demographers, trafficked women, and mail-order brides from all over the world, as she researches the global population imbalance in female births, its consequences, and the ways that Western influence and technology have propagated this unforeseen social calamity. Sharon Bertsch McGrayne ’64, The Theory That Would Not Die: How Bayes’ Rule Cracked the Enigma Code, Hunted Down Russian Submarines, and Emerged Triumphant From Two Centuries of Controversy, Yale University Press, 2011. In the first-ever account of Bayes’ Rule—by updating our initial beliefs with objective new information, we get a new and improved belief—for general readers, the author explores the controversies and human obsessions surrounding it. Lise Menn ’62, Psycholinguistics: Introduction and Applications, Plural Publishing, Inc., 2011. This comprehensive account of psycholinguistics and its clinical and pedagogical applications focuses on the bottom-up and top-down processing in language use. This is especially valuable for working professionals who are using the book for self-study and for students in applied fields who need to master and use key concepts from linguistics and psychology. 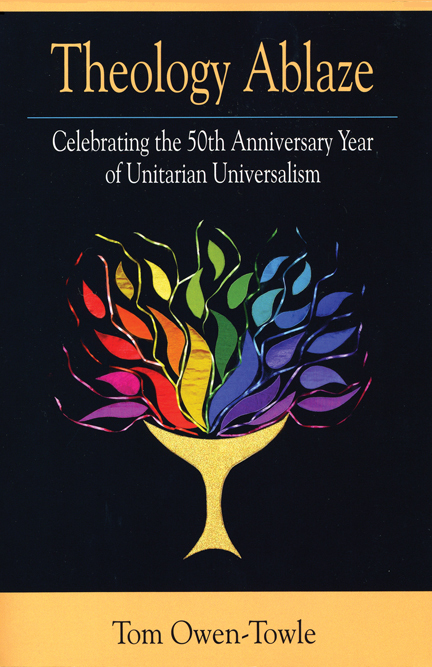 Tom Owen-Towle ’63, Theology Ablaze: Celebrating the 50th Anniversary Year of Unitarian Universalism, Flaming Chalice Press, 2011. Recognizing that everyone is a “bona fide theologian” and promoting guidelines for good living based on core universalist principles, parish minister Owen-Towle presents an essential work on Unitarian Universalist theology, which has rapidly spread across America since the 1960s. Edward Murphy, David William Cohen, Chandra D. Bhimull, Fernando Coronil, Monica Eileen Patterson ’97 and Julie Skurski, Anthrohistory: Unsettling Knowledge, Questioning Discipline, The University of Michigan Press, 2011. 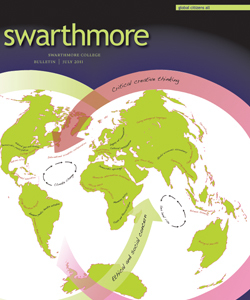 This work attempts to transcend the traditional boundaries that divide anthropology and history by promoting transdisciplinary work that crosses both disciplines. Douglas A. Perednia, M.D. ’79, Overhauling America’s Healthcare Machine: Stop the Bleeding and Save Trillions, FT Press, 2011. Healthcare expert and entrepreneur Perednia describes how bureaucracy has paralyzed the American healthcare system, with disastrous social effects, and identifies factors that have rendered healthcare inaccessible to those who need it most. He proposes a simpler, less costly design drawing on the best of free markets and public initiatives. 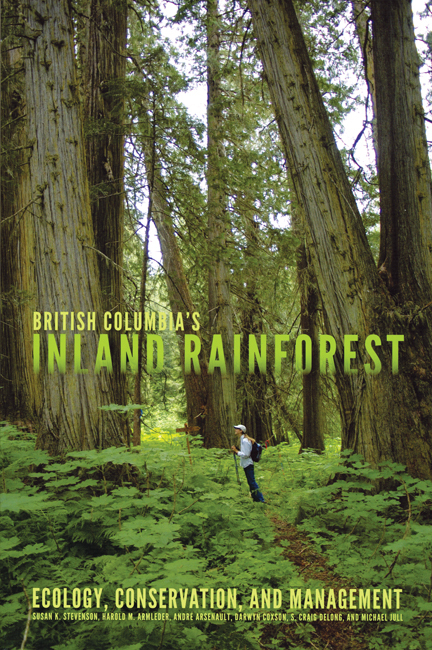 Susan K. Stevenson ’69, Harold M. Armleder, André Arsenault, Darwyn Coxson, S. Craig Delong, and Michael Jull, British Columbia’s Inland Rainforest: Ecology, Conservation, and Management, UBC Press, 2011. Examining the physical, social, and ecological repercussions of climate change and human exploitation on the delicate balance of the rainforest’s ecosystem, scientists propose various conservation strategies to enable the continued use of its diverse resources. 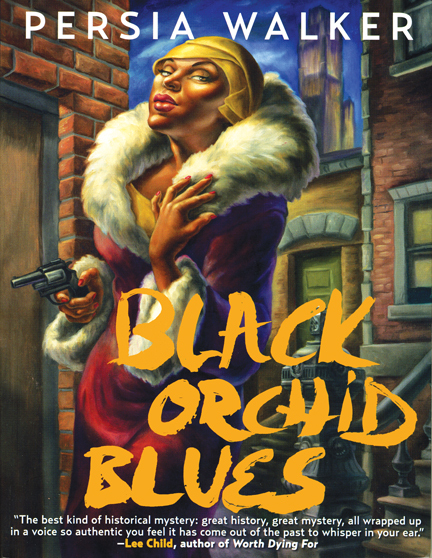 Persia Walker ’78, Black Orchid Blues, Akashic Books, 2011. In this crime novel, Walker paints a richly provocative world of memorable characters and plot twists. A former news writer for the Associated Press, Walker is now the author of acclaimed 1920s Jazz Age novels such as Harlem Redux and Darkness and the Devil Behind Me.